Dr.Backup is a fully managed online backup service designed with the needs of small businesses in mind. Using an existing Internet connection, encrypted copies of your most critical data are copied to a secure remote storage vault. This is usually done automatically each night, on schedule, without end-user intervention. Many clients depend exclusively on Dr.Backup for their daily backups. 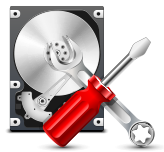 Others use the service as a complement to their local tape, CD/DVD, or hard disk backups. Dr.Backup protects you against physical threats such as fire, flood and theft – something a local backup alone simply cannot do. Medical professionals frequently use Dr.Backup to help comply with the Health Insurance Portability and Accountability Act regulations. (HIPAA).